A passive retrofit in Co Meath offers a template that could be applied across much of the Irish housing stock: a long, dark, 1970s bungalow was transformed into a bright modern home that’s now warm and comfortable. Built in 2004, Tomás O’Leary's house in Wicklow was the first in the country to be certified by the Passive House Institute — but how would it fare when subjected to a BER assessment six years later? 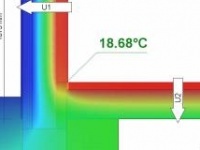 Thermal mass can significantly influence a building’s space heating requirement – in some cases the effect is to increase it, and in others to reduce it. 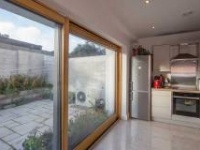 Leading energy consultant Ciaran King of Emerald Energy explains how this occurs, and by describing an assessment of the topic, provides some rules of thumb regarding when thermal mass may be beneficial, and when it may be detrimental. Earlier this year constructireland.ie broke the news of the introduction of the pilot Home Energy Saving Scheme, a new grant funding programme designed to stimulate the en masse refurbishment of Ireland’s poorly performing existing housing stock. John Hearne travelled to one of the pilot areas to see how the scheme is working on the ground, and discover how the scheme is developing. 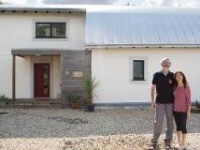 Passive houses have long been considered the ultimate in low energy buildings. So when it comes to BERs, why don’t they always get a straight A? Lenny Antonelli investigates. 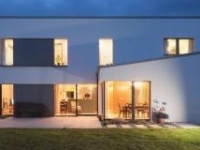 Lenny Antonelli visits a new residential development in rural Carlow that boasts only the second and third certified passive houses in Ireland, and encouragingly, finds that meeting and exceeding the coveted passive standard wasn’t as difficult as expected. Fears are growing amongst energy rating trainers that Ireland is running out of time to ensure building energy ratings are in place for existing homes at point of sale or rental from January. Jeff Colley spoke to SEI and to leading figures involved in energy rating training to find out more and shed some light on how homes will be assessed. Whilst great strides are being made in upgrading energy performance requirements under Part L of the Building Regulations, the issue of ventilation has remained largely ignored by legislators for years, leaving designers with antiquated standards to work to. At its worst, efforts to air-tighten and increase the insulation of homes is being undermined by the absurd practice of knocking holes in walls. John Hearne looks into what changes need to be made to modernise Part F.
Patrick Daly highlights that the energy refurbishment of our existing housing stock must become a priority. Daly has undertaken a retrospective DEAP case study assessment of an example house and its BER ratings, with staggering results.